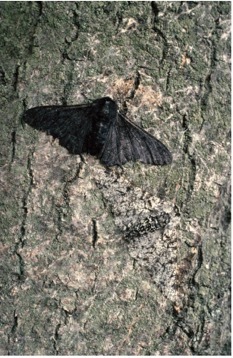 Common (lower right) and melanistic (top left) peppered moths rest on an unpolluted tree trunk. Judy Diamond and Alan B. Bond, Concealing Coloration in Animals, 38.